While watching the animals at the zoo on my kids' educational tour I had some sky watching too! From Manila Zoo's walk lane I had some nice shots here of the sky even though slight rain showers attempted to ruin the beautiful sunshine at 9am! It's my first time to join Sky Watch! See more beautiful shots of Sky Watch here! Nice capture Race. A lot of interest in this shot. Nice sky view. What building is that? 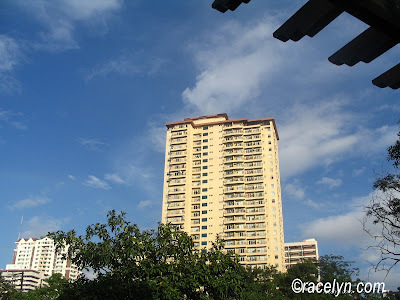 Race: Nice capture of the sky and apartments.